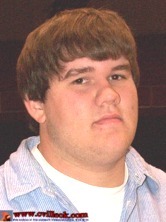 Tyler Roy will be one of about 180 CHS Seniors who will each have their own page on cvilleok.com. Those pages are to be completed by May 1st, 2009. Each student or parent is invited to submit a few favorite photos to be included on their page. 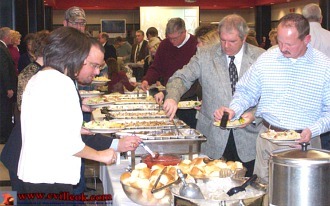 Contact Ted Wright (wrightted@aol.com) for additional information on photos or advertising on those pages. 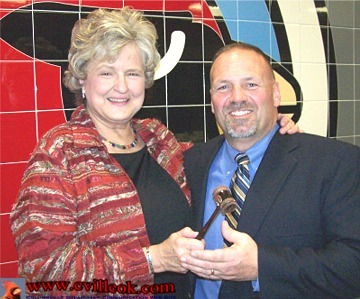 Dr. Susan Babbit ended her year as Collinsville Chamber of Commerce President and Cory Slagle was sworn in as Chamber President for 2009. 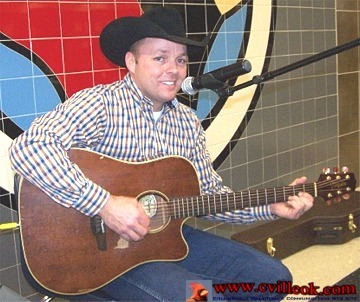 Wilbur Lee Tucker provided the musical entertainment early in the program. Mi'Shell Garrett (left, Miss Collinsville Outstanding Teen) and Brienne Vandiver (right, Miss Collinsville) were guests at the Chamber banquet Saturday. 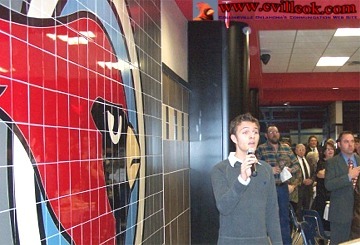 Colton Scott sang the National Anthem. 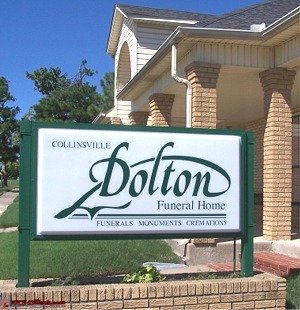 The Chamber of Commerce has a brand new banner display for use at activities to promote Collinsville. Pam Porter (center) swore in the 2009 Chamber of Commerce officers (L-R): Jim Dolton (Vice-President), Cory Slagle (President), City Commissioner Pam Porter, Ernie Davis (President-Elect), and Billie Francis (Secretary-Treasurer). 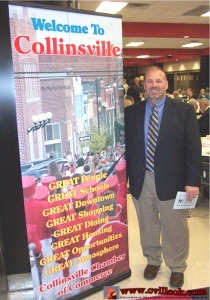 Dr. Neal addressed the Chamber and guests in the refurbished Collinsville High School Commons. 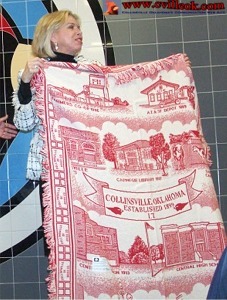 Dr. Neal was given an afghan depicting historic Collinsville buildings. 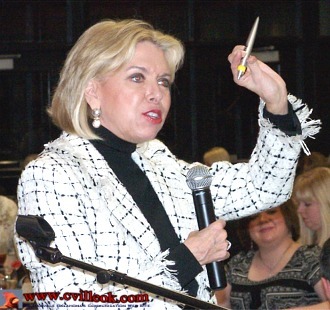 The Collinsville Education Foundation has just a few of these gift items left. 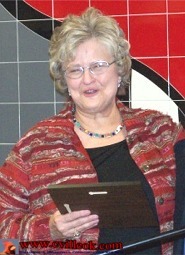 Dr. Babbitt gave her farewell address in the form of a letter (after accepting the Chamber Member of the Year Award). 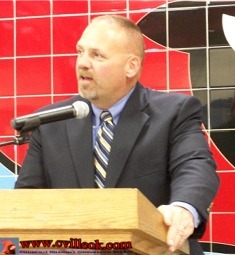 CHS Principal Cory Slagle's acceptance speech stressed "Chamber Strong" asking for community involvement and passion. 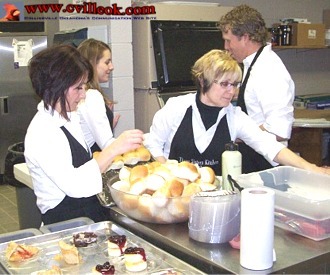 Three Sisters Kitchen To Go (now owned by Pam Webb) provided the banquet meal.